It is perhaps one of the biggest moments in the history of marijuana in the United States. 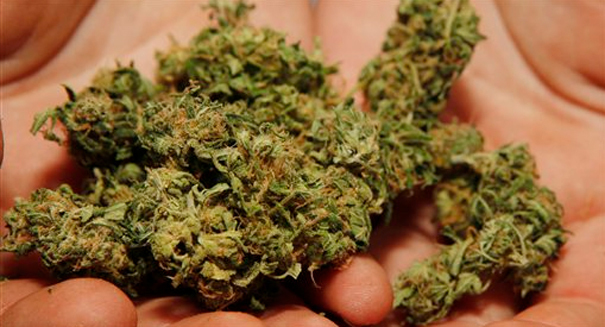 The future of marijuana in the United States may have just changed forever. A huge movement in California, Massachusetts and Nevada has resulted in the legalization of the drug for recreational drug in those states, suggesting a groundswell of support for weed that could lead to nationwide legalization sooner rather than later. Voters in five states were asked to consider the question of whether recreational use of marijuana should be legal, and those three states said yes, with official results not yet in for Maine and Arizona. In addition, four states were asked if marijuana should be used fo rmedical reasons, and Florida and North Dakota both voted yes. With weed use and acceptance on the rise in recent years, this is a good sign for legalization advocates, who argue that there is nothing unsafe about the drug in the first place and it shouldn’t be placed in the same category as potentially harmful drugs like opioids and methamphetamines. Before Election Day, it was only legal to use recreational marijuana in four states and in the District of Columbia, with Colorado and Washington state approving the drug in 2012, and Alaska and Oregon approving it in 2014. The drug remains illegal federally, so even though statewide it has been legalized, you could still get arrested on federal charges for possessing or using marijuana. Those states also have restrictions on selling the drug and how much you can possess legally. Medical marijuana is currently legal in about half of U.S. states, and was on the ballots of Montana, Florida, North Dakota and Arkansas.